Police have released CCTV in the hope of tracking down a man involved in an armed robbery at Werris Creek in the state’s north west. Just after 7:30 on Saturday night, a man armed with a large knife entered the service station on Single Street. He proceeded to threaten a staff member, before fleeing with cash. He’s described as being of Aboriginal/Torres Strait Islander appearance, with a medium build, dark hair and facial hair. 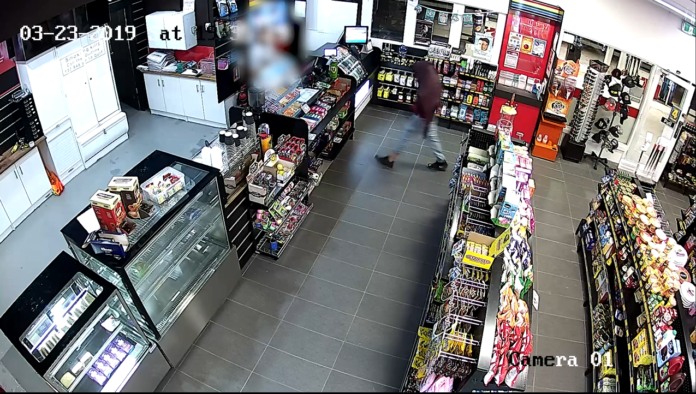 At the time of the robbery, he was wearing a maroon long sleeve shirt with a distinctive patterned shirt underneath, denim jeans, and black ‘Nike’ branded shoes.